The following table provides a look at the taxes currently levied. Property tax is based upon your Taxable Value (NOT Assessed Value) found on your annual Assessment Notice. Note: Non-Homestead Rate adds up to 18.00 Mills to above figure for your school district. To calculate your taxes, take your Taxable Value from your Assessment Notice and multiply by your Community, ISD, Library and School Mills. Tax Deferment Forms are available at the Bainbridge Township Hall or at the following link: Deferment of Summer Taxes The form must he completed each year in order to have taxes deferred without penalty in any given year. 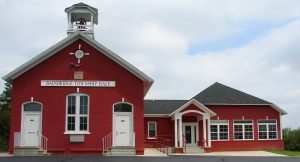 The form must be filed with the Bainbridge Township Treasurer’s office no later than September 14 to receive the deferral. Property that is classified or used as agricultural property may qualify if the gross receipts of the age or horticultural operation in the previous year (or the average gross receipts in the previous 3 years) are not less than the household income of the owner for the preceding calendar year. If you are a senior citizen (62 years of age), or a paraplegic, quadriplegic, eligible service person, vertean or eligible widow, blind person, a permanently disabled person, with a household income of $40,000 or less, and you filed a summer deferment your summer tax bill is due by February 14, without penalty or interest. What if my taxes are escrowed with a mortgage company? You should have received a duplicate tax notice with a “Do Not Pay” bottom portion. If you received the original bill, please call our office immediately! Call (269) 468-8040 ext. 13. What if I no longer own this property? Never throw out a tax bill! Please mail the tax bill back to the Township immediately with information on ownership. What if I am selling this property? If you are selling this property, either return the bill to the Township office with a note or take it with you to the closing. What can I do to help assure that my payment was applied to my property? ALWAYS INCLUDE THE BOTTOM, BAR-CODED PORTION OF YOUR TAX BILL WITH YOUR PAYMENT to assure that your payment was properly credited to your property. When are my taxes due? The payment due date is always located on both your summer and winter tax bills. Pay by the due date to avoid a penalty. Postmarks are not accepted. When making your payment by mail, please allow an additional 7 to 10 days to avoid having it returned to you for late payment. How do I get a paid receipt? If you want a paid receipt you MUST enclose the entire bill and a self-addressed stamped envelope. The top portion will be stamped paid and returned to you in the mail. When paying in person, bring in the entire bill and the top will be stamped paid and returned as your receipt. Make checks payable to and mail payment to: BAINBRIDGE TOWNSHIP TREASURER, 7315 Territorial Rd., Watervliet, MI 49098. Please verify that your name and address are correct. If they are not, please fill out the correct information inside the box on the lower portion of notice.